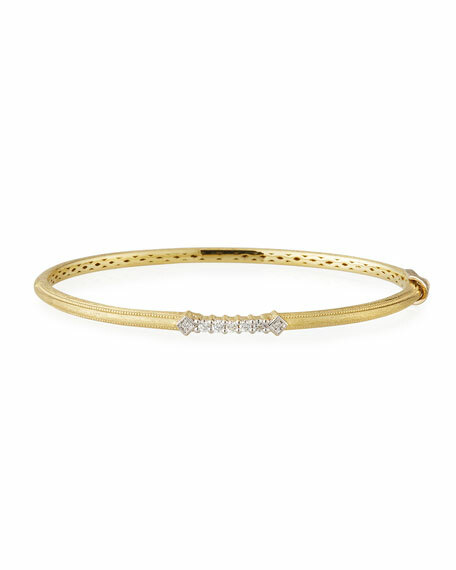 Jude Frances thin bangle from the Lisse Collection. Thin band with diamond pavé accent station. 0.41 total diamond carat weight. For in-store inquiries, use sku #1785925.